AP has a gorgeous builder’s set for this month, something they call “CallahanCam” by Republic Rifle. I just call it sweeeeeet. 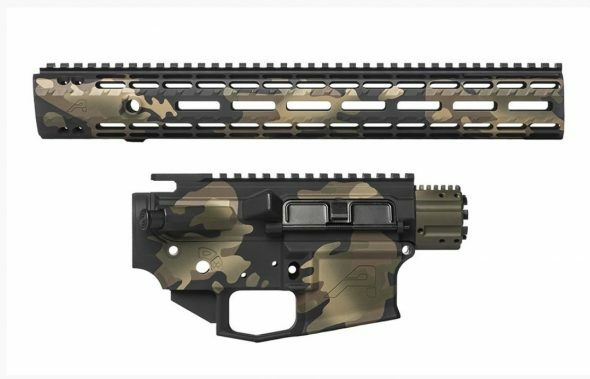 The June Builder Sets feature a CallahanCam™ Cerakote finish by Republic Rifle. These sets are available for both the AR15 and M5 (.308) platforms. The AR15 sets feature our new M4E1 Lower Receiver and are available in 9″ or 15″ ATLAS S-ONE or Enhanced Handguard options! Or go big with our M5E1 Builder Set, perfect for your .308 or 6.5 Creedmoor build. Enter to win a set featured in our June Rifle Giveaway. Be sure to take a look at AP’s Builder’s Set and send me a picture of the finished build! ← The Data Driven AR15, Updated and Lilja’s Stiff Barrels!